I've found myself thinking a lot about my Grandma Joyce recently. She was my dad's mom, and truly one of the best people ever. My heart broke in half when she died of cancer when I was in 8th grade. She was so giving, so selfless, so full of life and love. She was sassy and funny too. As I was getting ready to host a casual backyard BBQ for my birthday a couple weeks ago, I decided my Grandma Joyce's BBQ beans would be the perfect compliment to our spread of wings, burgers, steak and chicken. 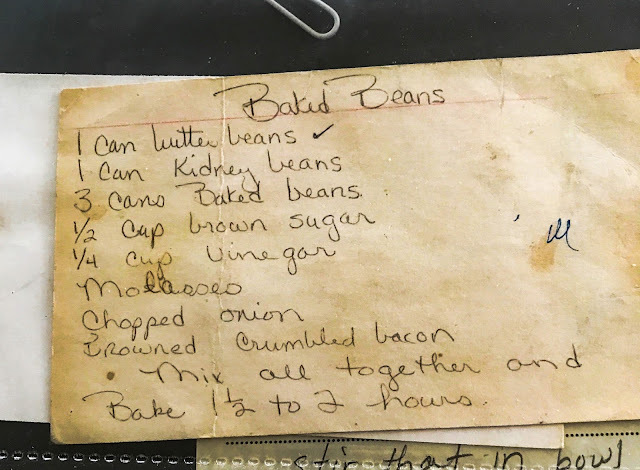 I think she would've loved the party and I'm excited to share her recipe with you here on the blog. Admittedly, my recipe is not exactly Grandma Joyce's recipe. It's more in the spirit of her recipe because I wanted to use dried beans and start from scratch. Her recipe called for two types of canned beans, as well as canned baked beans, which already has some BBQ flavors included in the can. For this reason, I basically made my BBQ sauce from scratch, and I also added some jalapeño to kick up the spice a bit. 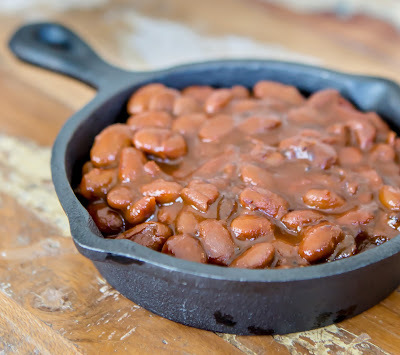 I used pinto beans for the party, but you can use navy or great northern beans as well... whatever you like and whatever is available and looks the freshest. See? Crispy and rendered. With a slotted spoon, remove to a paper-towel lined plate or bowl, leaving the bacon grease in the pot. While the bacon is cooking, you can chop up the onions, jalapeños and garlic. Once you've removed the bacon, sauté the diced onion in the bacon fat until the onion starts to soften and caramelize, about 7-10 minutes. Add jalapeños & garlic and stir, cooking another minute or so. Stir in bacon, beans, and enough chicken stock so that beans are covered by about an inch of liquid. If necessary, add water to supplement. Bring beans to a boil, then reduce heat to low and simmer for an hour. 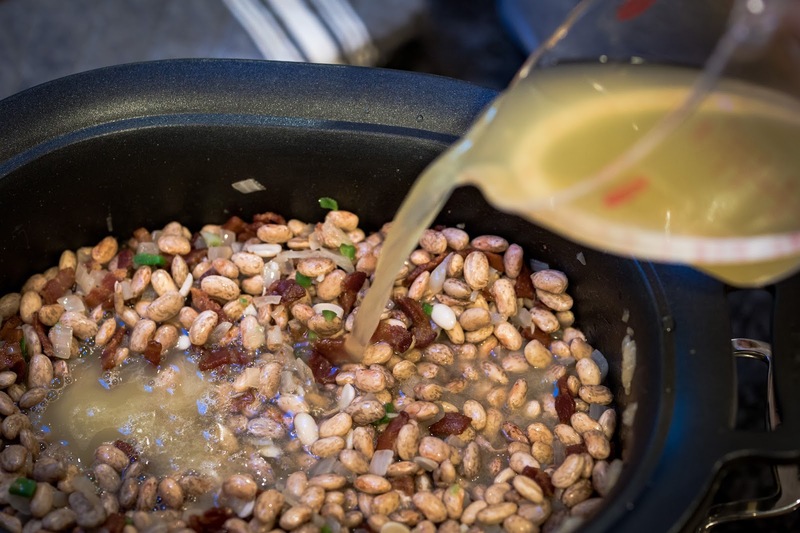 This step is important, because from what I've read, the acidic components from the sauce (like ketchup, ACV, etc) will kind of make the beans tough if they haven't had a chance to soften up and cook a little on their own first. Easy enough, since everything is already cooking on the stove! Meanwhile, mix up the BBQ sauce ingredients. 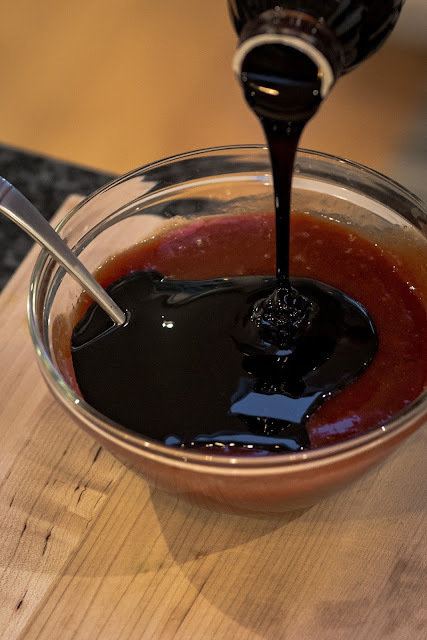 In a medium bowl, combine molasses, brown sugar, apple cider vinegar, ketchup, honey, Worcester sauce, hot sauce, dry yellow mustard, paprika, 1/2 teaspoon kosher salt, and black pepper. 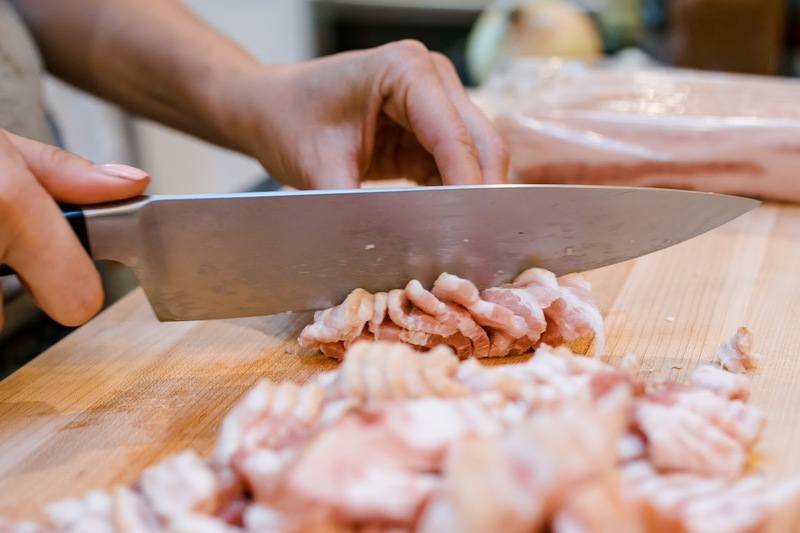 Stir well and taste, adjusting seasonings and ingredients to your liking. I like my beans on the sweet side, so that's why there's 3 different kinds of sugar in here (molasses, brown sugar, honey.) I also like them smoky, which is where the smoked paprika comes in and I often add a dash of liquid smoke, but that's totally optional. Sometimes I might add a little extra molasses depending on my mood. It really adds a nice depth of flavor. My BBQ sauce is not an exact science. The amounts I give is about what I use, but it's more of a starting point. I'll play around with it sometimes to get it just the way I like it. 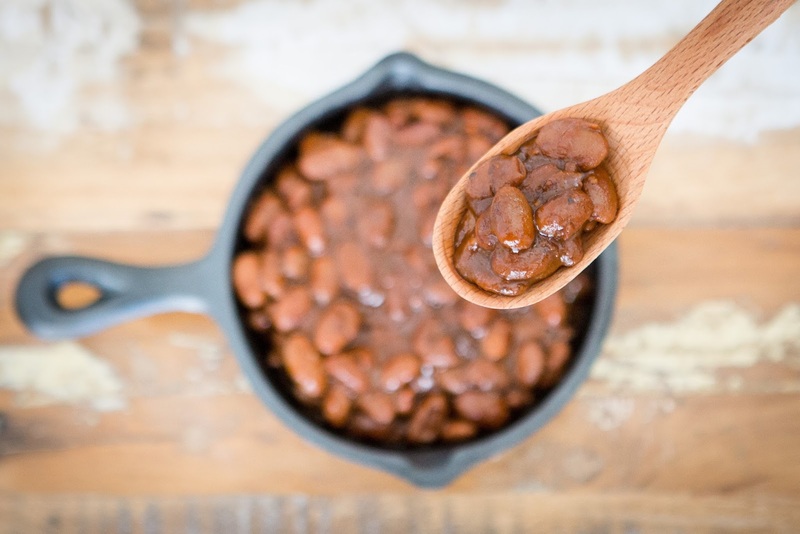 Transfer the bean mixture to slow cooker (or, if you are using a stove-proof slow cooker insert, transfer insert to slow cooker.) Pour in BBQ sauce and stir. 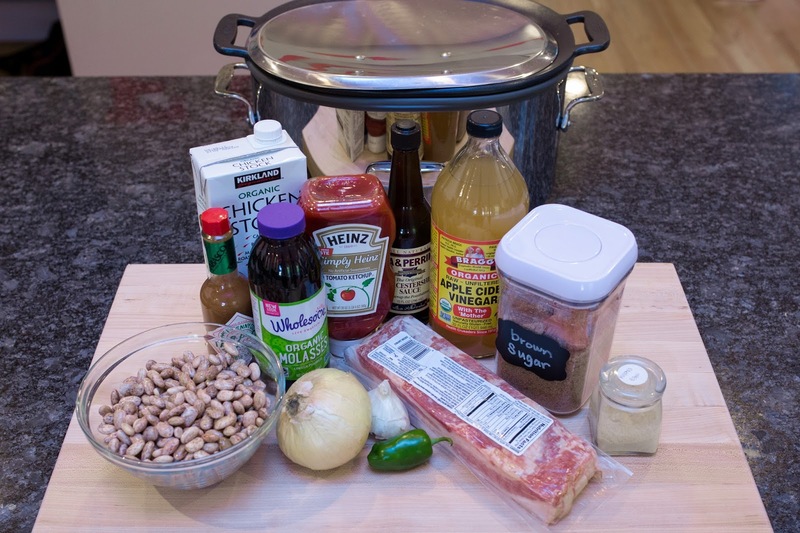 Cook on low for 8 hours or on high for 4 hours (or until beans are tender.) Remove lid and allow to cook another hour or so on high until sauce has thickened to your liking. 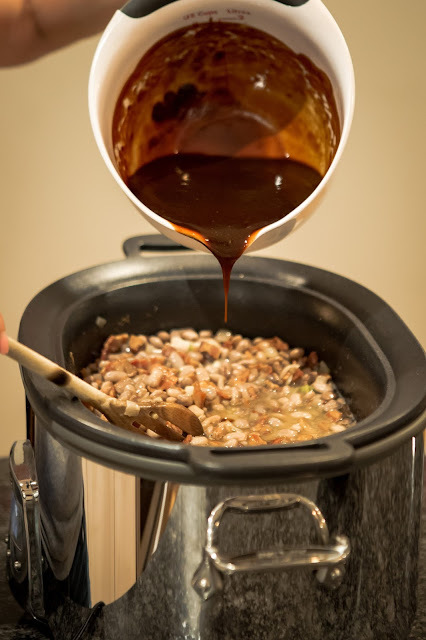 I love making these in the slow cooker for the "set it and forget it" convenience... but I should mention that you can transfer them to a 300 degree oven and cook for about 4 hours once the BBQ sauce has been added. Up to you! But there's something about the slow cooker... especially in the summer if you are making them for a BBQ, it's nice not to heat up the oven! I hope my Grandma Joyce would like my adjustments... and I hope she knows how often I think about her! Hopefully you will enjoy them as much as my family (and friends) have over the years. 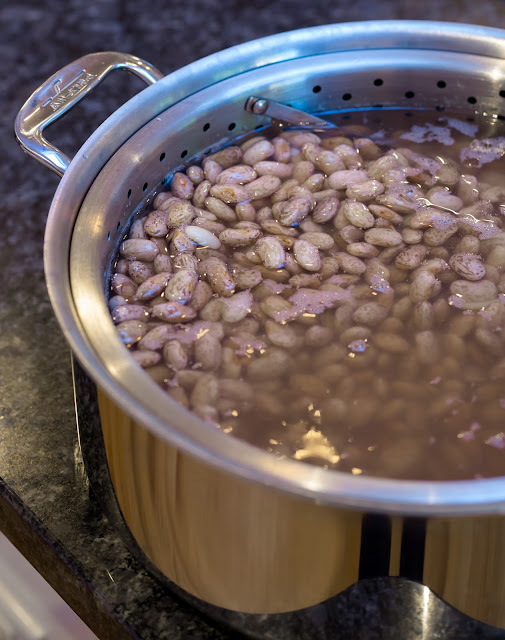 Once beans have finished soaking overnight, drain and rinse. Set aside. 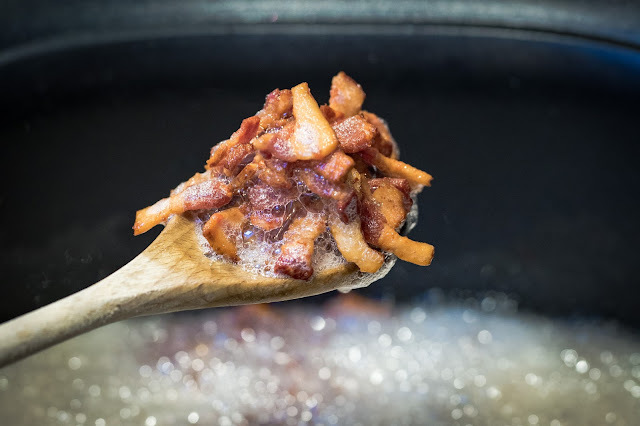 In a large dutch oven or pot (or in the insert of your slow cooker if it is stove-safe), cook the bacon lardons over medium heat until fat has rendered and bacon is crispy. With a slotted spoon, remove to a paper-towel lined plate, leaving the bacon grease in the pot. 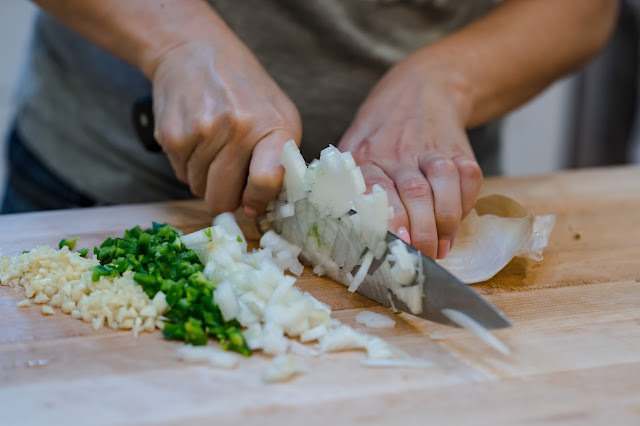 Sauté diced onion in the bacon fat until the onion starts to soften and caramelize, about 7-10 minutes. Add jalapeños & garlic and stir, cooking another minute or so until fragrant. 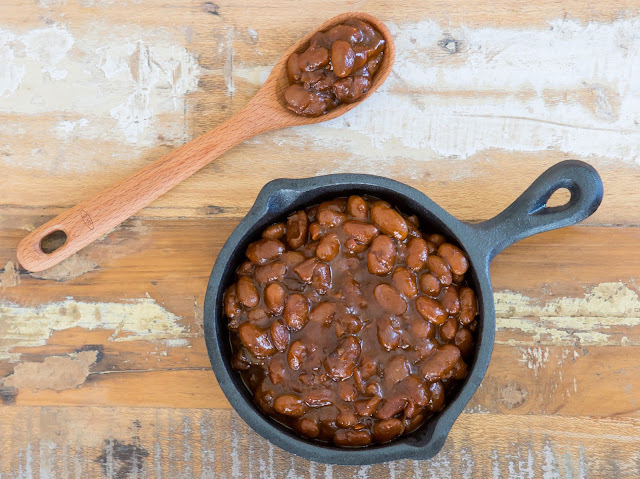 Transfer the bean mixture to slow cooker* (or, if you are using a stove-proof slow cooker insert, transfer insert to slow cooker.) Pour in BBQ sauce and stir. Cook on low for 8 hours or on high for 4 hours (or until beans are almost done to your liking.) 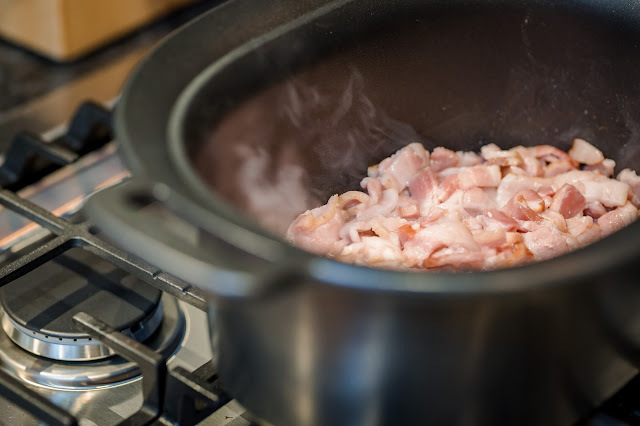 Remove lid and allow to cook another hour on high until sauce has thickened to your liking. **Alternately, you can also keep the beans in the dutch oven, add sauce and cook in a 300 degree oven for 4-5 hours if you do not want to use the slow cooker. LOVE this recipe! I'll want to make some soon. Gonna have to give it try! Thanks Jaymee! I met you in NY in '13 when the Giants played the Mets. Best of luck with the new job. Thanks so much Timmy! And let me know how it turns out. I finally got around to making these beans! They are super tasty. I don’t know if I can eat the canned version anymore!! So glad to hear that! They are a little more labor intensive, but so worth it!! Jaymee, if you’re ever back in SF, I owe you a few beers or whatever libations you drink.